The “invention” of the prepared piano is accredited to John Cage. In 1939 Cage had a dilemma — he was supposed to provide percussion music for a group of dancers, but the space he had for instruments was much too small to accommodate the large ensemble he was working with at the time. So, Cage created something new. He incorporated ideas from Henry Cowell’s experiments, which used the inside of the piano, and he developed the piano into a percussive instrument. The piano is already a member of the orchestral percussion family.1 But, most people think of the piano more for the lyrical, musical, singable quality of the piano. The “prepared piano” actually makes the piano sound like a percussion instrument, or at least a combination between singing and percussion. The definition of a prepared piano, according to The New Harvard Dictionary of Music, is “a piano whose sound has a been altered by inserting material such as bolts, rubber, cloth and paper between the strings, thus altering pitch, loudness, and especially timbre.” Preparing the piano is done according to very specific instructions from the composer, which specify the exact placement of the material in relation to the individual strings and the distance from the damper. Depending on the objects that are used, what material they are made of, where they are placed between the strings (meaning between the first, second, or third for each pitch), and at what distance they are placed from the damper, a wide range of timbres and sounds can be produced. Very few characteristics of the original note remain, especially the pitch. The piano can be also be prepared in such a way that when a single note is played multiple sounds are heard. There are, or course, other composers besides John Cage who have written music for the prepared piano. Some of the most notable composers include Lou Harrison, Christian Wolff, and George Crumb. 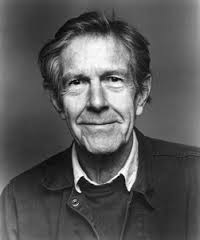 And this video is a lovely piece by John Cage, “Sonata II for the Prepared Piano” (performed by Boris Berman) which will give you a good idea of how the prepared piano sounds. So, what do you think of of the prepared piano? Do you like the idea? Do you like how it sounds? Would you compose something for the prepared piano? Or, would you play a piece written for the prepared piano? 1 To read more about percussion instruments in the orchestra see this great description.